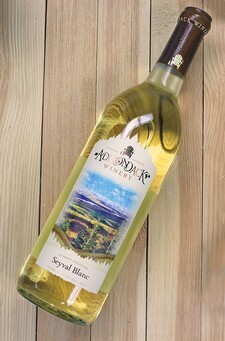 Our Seyval Blanc is a refreshing, dry white wine offering a well-balanced acidity complemented by bright green apple and citrus tones, bringing through a natural minerality on the palate. Try our Seyval with shellfish, light salads, spicy white meat dishes, and mild cheeses. Label Image: The View from the top of Whiteface Mountain, NY.